It’s happened too many times: injuries, fatalities, and damage to plant assets resulting from crane-related accidents. 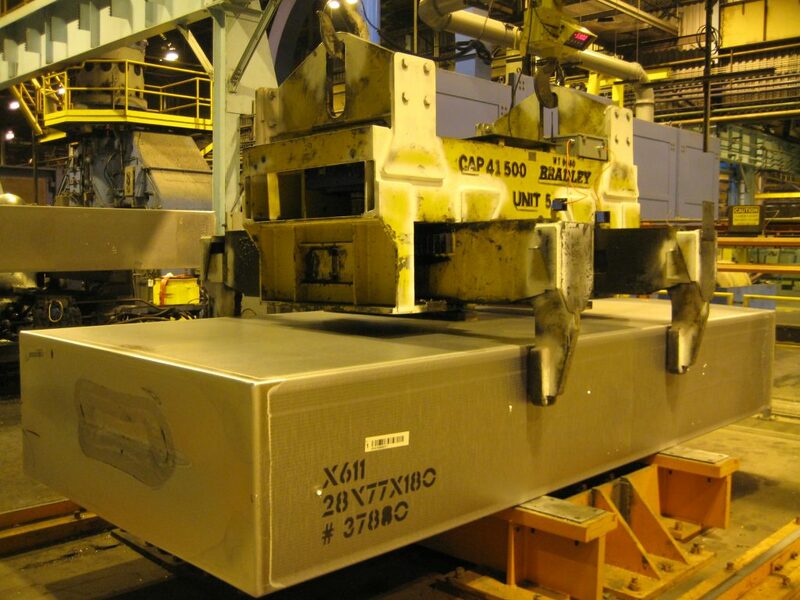 The complex work performed by material handling cranes within aerospace, automotive, and metal processing facilities can lead to dangerous and costly accidents. How common is the problem? According to the Crane Inspection and Certification Bureau (CICB), approximately 80 crane-related deaths occur every year. Of all crane-related incidents, 90% are due to human error, 50% of the overall incidents result in a fatality, and 40% of the overall incidents involve someone being struck by the crane or an object that the crane is lifting or moving. Most of these errors correlate to a lack of operator training. Fortunately, recent advancements in digital technologies have fueled innovation in the field of crane control, and new solutions have been developed that are safer and smarter. 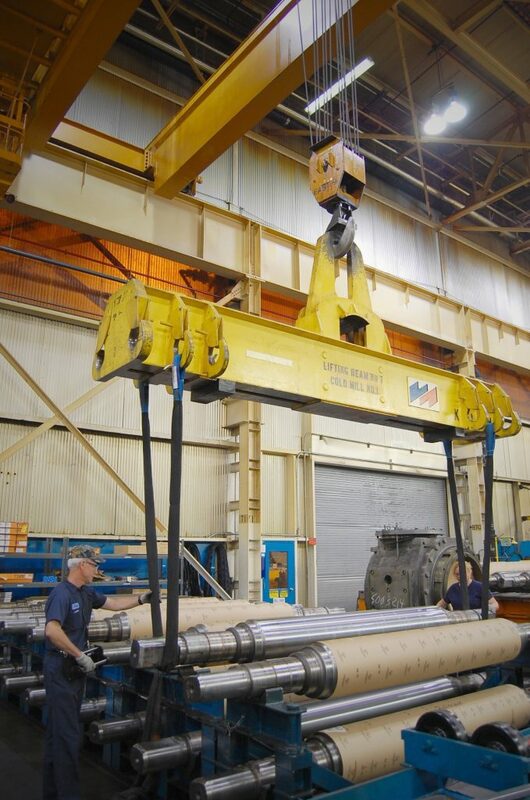 One unique solution for modernizing cranes was designed to help operators by reducing load sway by a stunning 95%. This innovative solution, EXPERTOPERATOR™, was developed by PaR Systems (PaR) of Shoreview, Minnesota (www.par.com). PaR is a global manufacturer of advanced automation, robotic, and specialty material handling solutions. PaR supports global customers in automotive, aerospace, nuclear, life science, marine and other core industries. EXPERTOPERATOR is an advanced crane motion control system implemented entirely within the Siemens platform. The system uses equipment such as Simatic S7 PLCs, Simatic HMI Panels, and Scalance W Industrial Wireless Modules. Unique algorithms within PaR’s software enables crane operators to more easily, quickly, and safely control the movements of payloads, such as dies and coils in automotive stamping plants. EXPERTOPERATOR is most effective for applications that require high throughput, and precise manipulation of loads to meet production demands and prevent collisions with sensitive equipment and personnel. 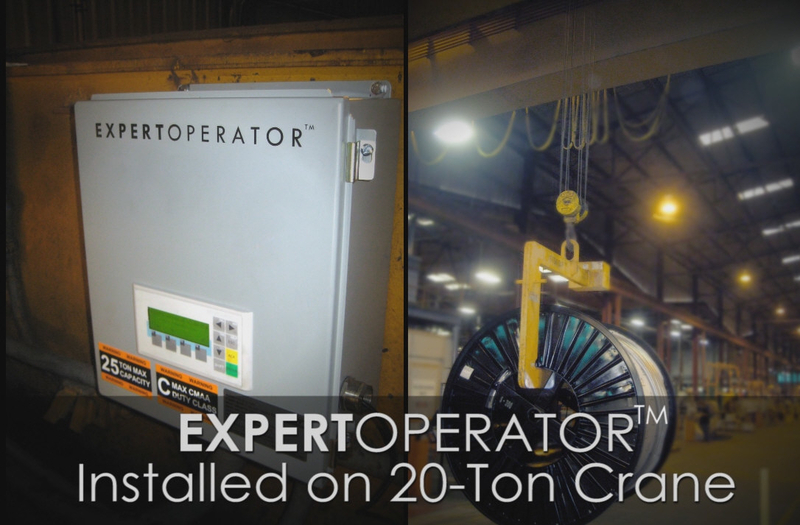 EXPERTOPERATOR is currently installed on over 150 cranes worldwide – many of which are located in automotive, primary metal, and heavy equipment industry facilities. Users have indicated that EXPERTOPERATOR has allowed operators to control their crane loads with 95% less sway and 90% fewer “close calls” or collisions. Optional modules to the EXPERTOPERATOR platform provide robust zone control, sideload/snag prevention, and automatic load positioning. 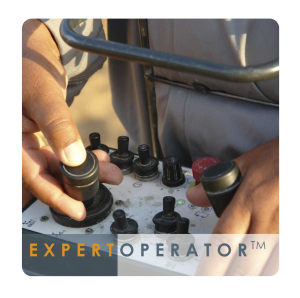 Across 150 installations, EXPERTOPERATOR has improved personnel safety, reduced damages to equipment, increased efficiency, and reduced maintenance costs. EXPERTOPERATOR minimizes payload motion by intercepting an operator’s commands and adjusting the output to emulate those of an experienced operator. This technology is proven to reduce cable sway by 85-95%. Thus, operator concentration can be focused both on the load and on the immediate environment surrounding the adjacent plant floor, instead of controlling load sway. As a result, both the load and the surrounding equipment are less likely to suffer damage. Many of PaR’s customers run 24×7 operations and have reported significant improvements in productivity. For example, one customer in a high-throughput locomotive manufacturing process reported that the critical path load positioning time was reduced from approximately 4 minutes to less than 2 minutes. This result is not atypical. End users who implement EXPERTOPERATOR generally report between 10 and 50% reduction in load positioning time. Increased productivity is due – in part – to the reduction of load swing, which makes the crane easier to operate efficiently. The intense manual manipulation ordinarily required by an operator to mitigate load swing is replaced by a simpler manipulation task: positioning a stabilized and swing-free load. The evidence that EXPERTOPERATOR makes cranes easier to operate is further demonstrated by data captured through operator studies that measured the frequency of button pushes. While using the technology, operators pressed pendant buttons 60-80% less than while conducting the same manipulation task without EXPERTOPERATOR. This metric demonstrates that fewer commands are needed to manipulate a swing-free load. Because EXPERTOPERATOR makes cranes easier to use, novice operators can quickly become proficient. In fact, new operators who utilize the technology generally perform as well or better than their more experienced counterparts who use conventional cranes. This technology effectively accelerates the rate at which operators learn to drive safely and efficiently. Each time a crane operator pushes a button, electric current rushes through the power section of the drives. The current also flows into the motors, and this causes torque to be propagated in the mechanical drive train through to the gears, wheels, and finally the rails of the crane’s infrastructure. When the number of starts, stops and surges in current are reduced by 60-80% with EXPERTOPERATOR, the life of that critical equipment is prolonged. As a result, the mean time between failure (MTBF) statistic is improved by a factor of 2-3 times and maintenance costs are drastically reduced. Siemens reliable products and time-saving tools add value PaR Systems relied on Siemens because they place a priority on reliability and quality. PaR Systems knew their success would depend on their ability to work with a partner who could provide critical hardware that is robust for industrial environments, quick to deploy, and highly configurable. wireless solution offered PaR Systems a wireless component that was reliable and predictable. PaR had experience with non-Siemens wireless solutions in the past that were problematic, both functionally, and from a manufacturer support perspective. The Scalance W wireless solution can be configured to operate in a less congested frequency range (5 GHz), allowing for a more robust wireless signal. Since installing Siemens Scalance W wireless modules as part of their solutions, customers have experienced 100% uptime of their wireless communications. In addition to reliability, the Scalance Wireless Modules offered PaR exceptional customer and OEM technical support. Time to market is also important to PaR Systems when delivering customer solutions. The Siemens Totally Integrated Automation (TIA) portal provided a platform to shorten engineering time through its simulation tools, programmer productivity tools, and additional diagnostics. PaR Systems benefitted from unique capabilities when programming the Simatic S7 PLCs and Simatic HMI Panel. They were able to dynamically change the cycle time of the main control loop during runtime, which is critical for optimizing the performance of their unique motion control. Debugging capabilities were enhanced because the tool monitors values and updates programs in real time for instantaneous feedback. Such tasks that are tedious and time consuming within other platforms happen automatically and dynamically when using the Siemens TIA solutions. Material handling requires a fine balance between precision, efficiency, productivity, and most importantly, safety. As a result of the collaboration between PaR Systems and Siemens, new and experienced crane operators around the world can now confidently perform their tasks and contribute to enhanced plant safety and operational efficiency, while reducing equipment maintenance. Next articleREGO-FIX® Accepts Bitcoin as a New Payment Option Providing Additional Convenience for a Global Customer Base.